The story is great, and the performance is brilliant. Rosario Dawson creates consistent, unique, believable voices for each character, and expresses the essence of this story beautifully. 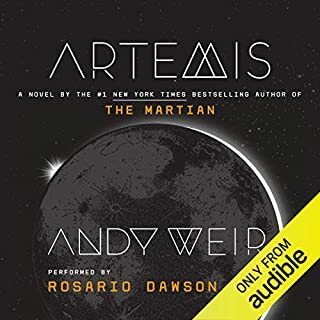 I love Andy Weir's storytelling, and he does have a tendency to make all the characters think the same way- logical and brilliant. Dawson brings variety to the characters that gives them more individual personalities. It's a great creative collaboration.